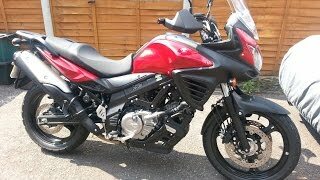 This used 2014 Suzuki V-Strom 650 ABS Motorcycle for sale has 17070 miles. The color is Candy Daring Red. It is offered for sale by Karns Performance and located in Mechanicsburg, PA. The listing # is 20078. For more information call (717) 920-5225 . For the fastest response send an email via the form above. NOTHING SPARED! 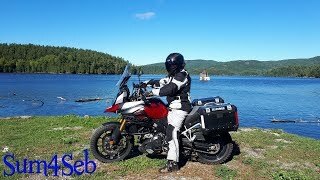 What an amazing Vstrom we have to offer!!!! This bike has been very well cared for by the owner who purchased it here new and just traded it! all services are done and up to date. Tires are in great shape, overall very nice condition, never crashed and with only normal wear and tear that can be expected. 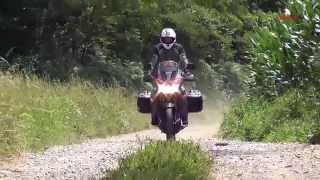 There is nothing that can be added to what a great bike the DL650 is! and this one has everything added to it that makes it a killer deal and a better bike than the ADV version that Suzuki offered themselves! Full GIVI luggage set with mount kit, Two Brothers Exhaust (really livens up the bike and sounds fantastic), GIVI engine guards, LED Driving lights, upgraded Horn, Ram Mount, Hand warmers, GIVI skid plate/guard, Brakeaway throttle lock, touring screen, & Highway pegs.... breathe... breathe.... quite a list! 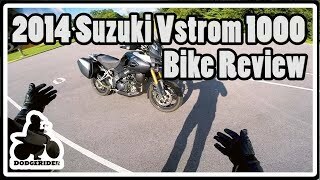 you can see there was thousands invested that you don&apos;t have to.... so.... Don&apos;t hesitate, if you want a fully farkled vstrom.... this is the one! When purchasing here, the buyer receives Free Inspections for the life of ownership - not including sticker, parts, or labor needed to pass - on this bike here at Karns Performance. 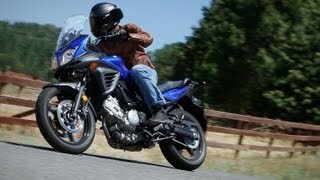 Last year, Suzuki introduced the redesigned V-Strom 650 ABS that focused on more than comfort. It enhanced the running performance and in-town versatility of the popular V-Strom brand. The 645 cc, V-twin engine features outstanding performance in low- to mid-rpm range and has impressive styling that stands out in form and function. The V-Strom 650 ABS is an environmentally friendly vehicle that has excellent fuel economy for daily commuting and weekend touring. The Suzuki V-Strom 650 is just what you dreamed of to tackle on your exotic getaway. The average price of a 2014 Motorcycle for sale is $9275.92. This model is priced $2776.92 less. The average price of a 2014 Suzuki Motorcycle for sale is $6694.80. This model is priced $195.80 less. The average 2014 Suzuki Motorcycle for sale has 9729 miles. This model has 7341 more miles. There are 327 Suzuki Motorcycles for sale within 150 miles of Mechanicsburg, PA. If you looked at the average 2013 Suzuki Motorcycle for sale it would cost $6.16 more. If you looked at the average 2015 Suzuki Motorcycle for sale it would cost $517.61 more. The average price of a 2014 Suzuki V-Strom 650 ABS Motorcycle for sale is $5432.33. This model is priced $1066.67 more. 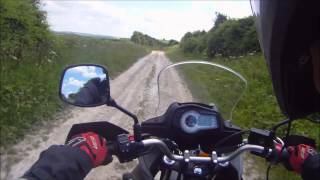 The average 2014 Suzuki V-Strom 650 ABS Motorcycle for sale has 15010 miles. This model has 2060 more miles. 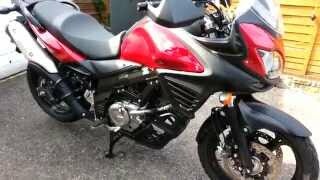 There are 1 Suzuki V-Strom 650 ABS Motorcycles for sale within 150 miles of Mechanicsburg, PA. 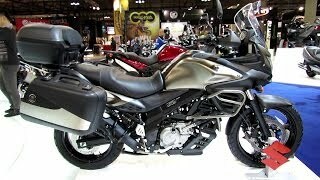 If you looked at the average 2013 Suzuki V-Strom 650 ABS Motorcycle for sale it would cost $1325.25 less. 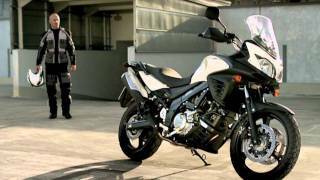 If you looked at the average 2015 Suzuki V-Strom 650 ABS Motorcycle for sale it would cost $1004.00 less.